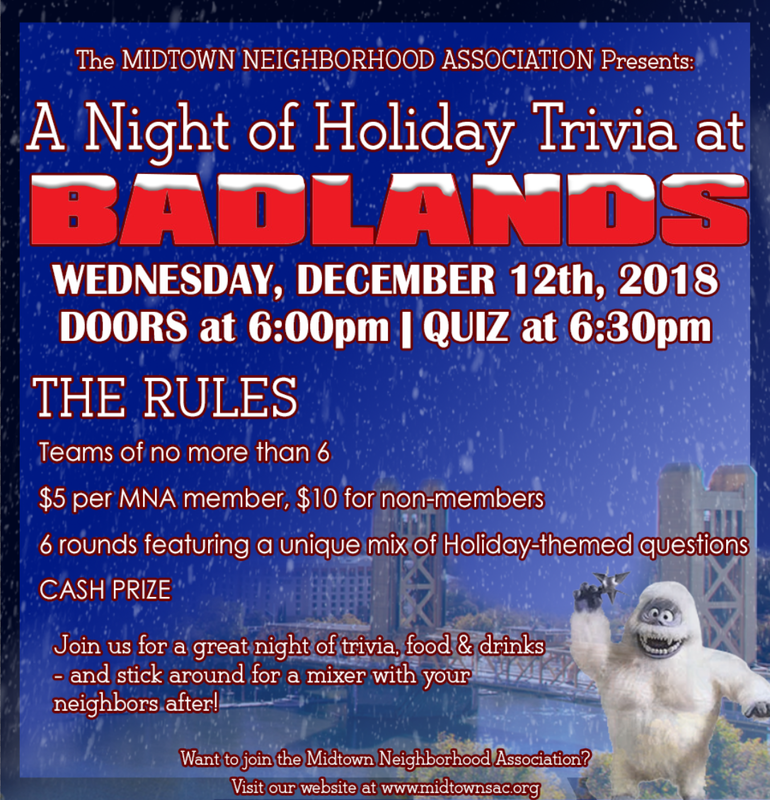 Do you want to build community in Midtown? 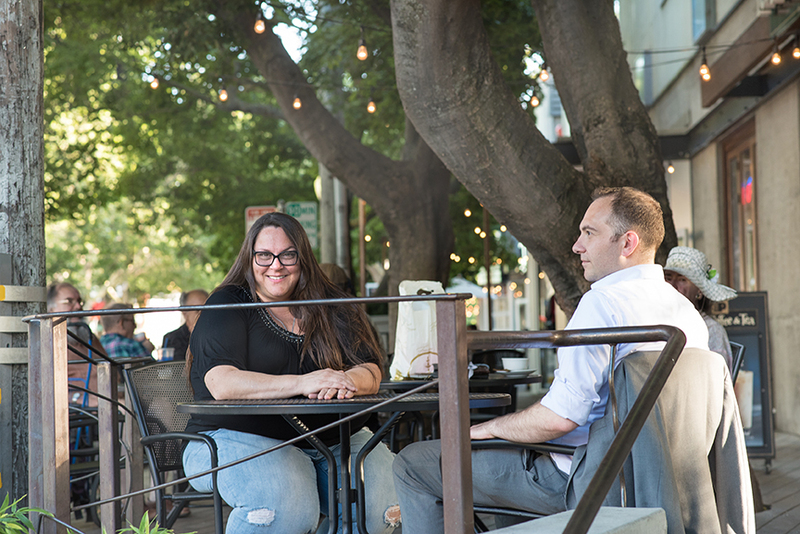 ​Do you want to engage on the hottest topics in Sacramento? ​Are you a team player? Consider joining our Board of Directors. ​Want to talk to someone about this opportunity? ​Want to talk to someone about this opportunity? Contact us! Nominations taken through Nov. 14, 2018, 6:15 pm. Elect the Board through April 7th. Learn more here! Become a Board Member. File your candidacy by February 28, 2017. Learn more here. The City has scheduled four community meetings this week (Nov. 17-19, 2016) throughout the city to hear directly from City residents on police transparency, use of force policy, and accountability. This is part of the Officer Next Door Community Policing strategy. The city also wants to hear about the attributes that the community wants to see in their next Chief of Police. SAT, NOVEMBER 19th — 2:30 pm–4:00 pm | Oak Park Community Center, 3425 Martin Luther King, Jr. Blvd. Hear from the developer. Ask questions to the city or developer. Provide feedback and your opinion. Thank you to the Midtown Business Association for hosting our meeting! Thank you to The Golden Bear and the Midtown Business Association for donating at least a dozen pizzas! Thank you for making our first General Membership Board Meeting such a great success! Thank you to the 40 neighbors, businesses, and others who attended and who are organizing our fantastic community! Thank you to the Sacramento Police Department, City Council Member Hansen, Assembly Member McCarty's staff, Sacramento Heritage, Inc., and Preservation Sacramento for attending and answering community questions. 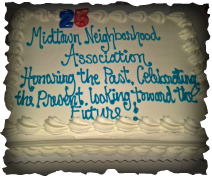 Thank you to those who started the association 25 years ago and for continuing to share your wisdom and our neighborhood's history. Click here for the current year's budget and information on the city's budget process. Limit yourself to about 3 items or less, if you can. Otherwise, nothing gets prioritized. Let us know if you think the city should prioritize something else not on these lists. Provide any comments you would like us to share with the city. If you would like, provide us your name. If you would like to hear how things go, please provide us your email address. We may also share your comment with city staff to follow up on. Provide Input on what the city should prioritize in the next budget. Introduction of interim board and guests | 5 min. Code of Civility | 5 min. Awards Presentation | 15 min. Sacramento Police Department Updates | 10 min. Council District 4 updates | 10 min. Elections | 15 min. | Nominations by end of January; elections/membership drive in February; announce election results in March; new board selects new officers in April. City Budget Priorities | 20 min. 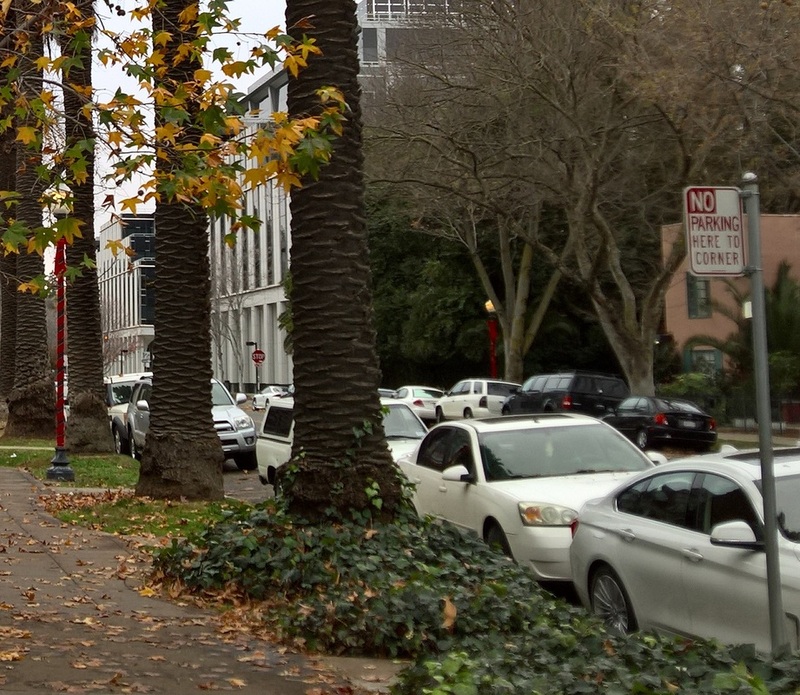 | Prepare for 2016 Mayor’s Budget Workshop | What are the board/neighborhood’s priorities?